Man silhouette stay on sharp rock peak. Satisfy hiker enjoy view. 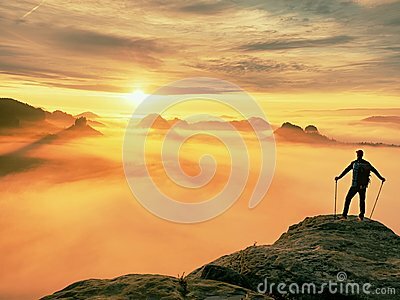 Tall man on rocky cliff watching down to landscape. Vivid and strong effect.